Microsoft will launch its Surface Pro 4 in the first week of January in India. The Redmond-based tech company has started sending media invites for the January 7 launch event in New Delhi. This is in line with the January timeline that CEO Satya Nadella had announced during his trip to India earlier this year. 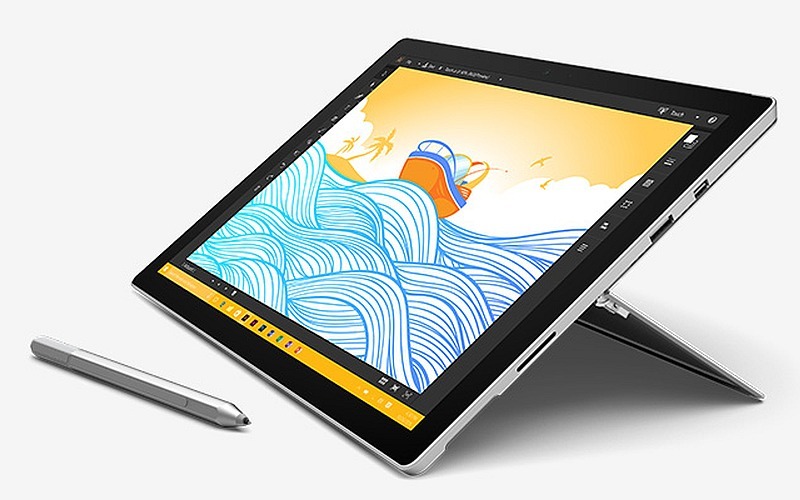 The Microsoft Surface Pro 4 features a 12.3-inch (2736×1824 pixel) PixelTouch display with a 3:2 aspect ratio, but the size of the tablet is not larger than the 12-inch Surface Pro 3 as the company has reduced the bezel width. The display is protected by Corning Gorilla Glass 4 – which as the company noted at the global launch event is only 0.4mm thick. There is a new stylus too. The company called its new stylus the Surface Pen, and it comes with an eraser. The new Surface Pen can detect 1,024 points of pressure. You click the tip of the pen and the Surface Pro 4 opens Microsoft OneNote. The Pen also comes with Cortana integration. The Surface Pro 4 comes with a choice of Intel’s 6th-generation Core processors, from Core M3 for the base model, to Core i5 and Core i7 options. These configurations are powered by Intel HD Graphics 515, Intel HD Graphics 520, and Intel Iris Graphics respectively. The company at the global launch event had claimed that the Surface Pro 4 was 30 percent faster than the Surface Pro 3, and was 50 percent faster than Apple’s MacBook Air. It comes with up to 16GB of RAM (4GB base model), and up to a whopping 1TB of SSD storage (starts at 128GB). It comes with a full-size USB 3.0 port, a microSD card reader, a 3.5-mm headset jack, a Mini DisplayPort, a Type Cover port, and SurfaceConnect port.